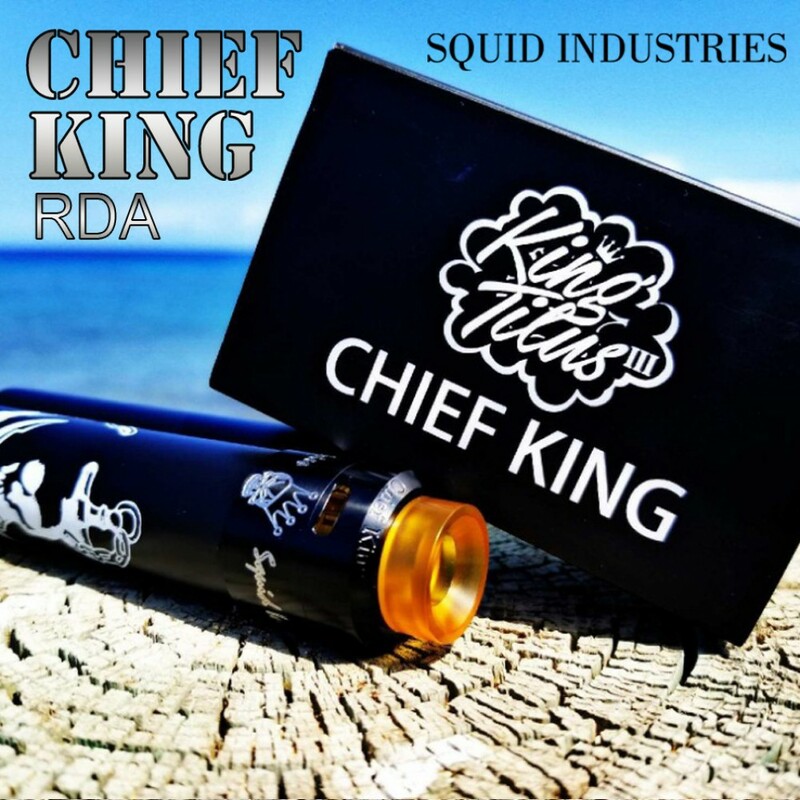 Squid Industries, in collaboration with King Titus III, is proud to present the Chief King! 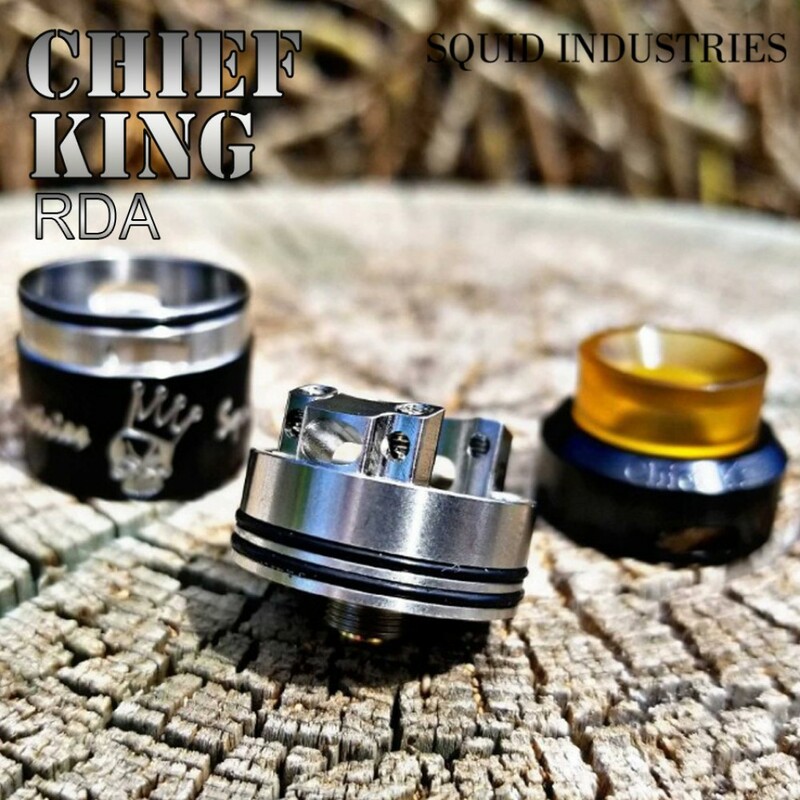 This 25mm RDA is built upon the same innovative design principles and quality as the Double Barrel and the TAC-21. 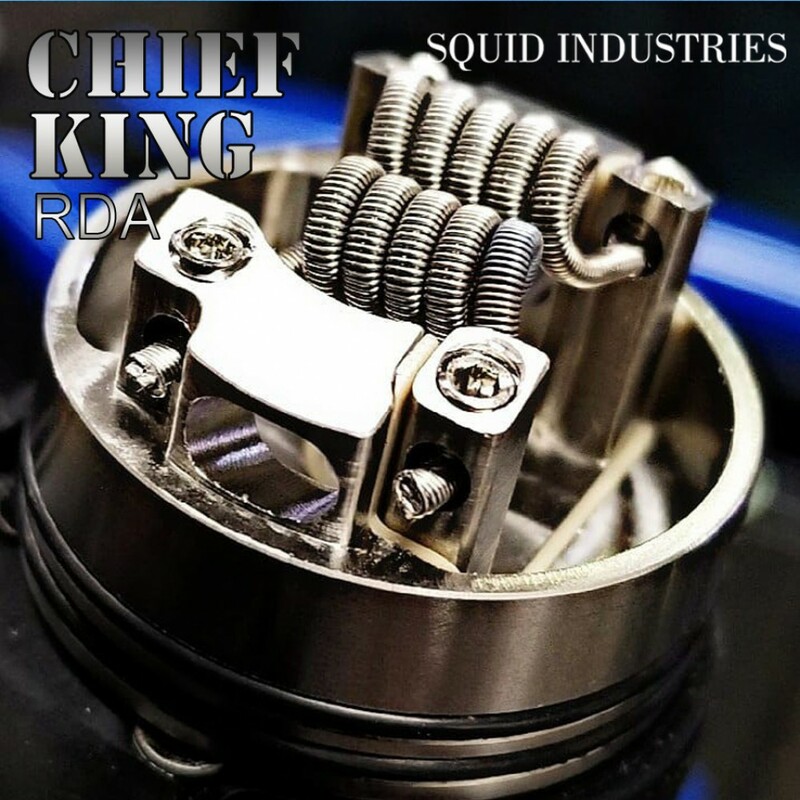 Meticulously constructed from stainless steel and designed by industry veterans, the Chief King provides dynamic functionality and durability! 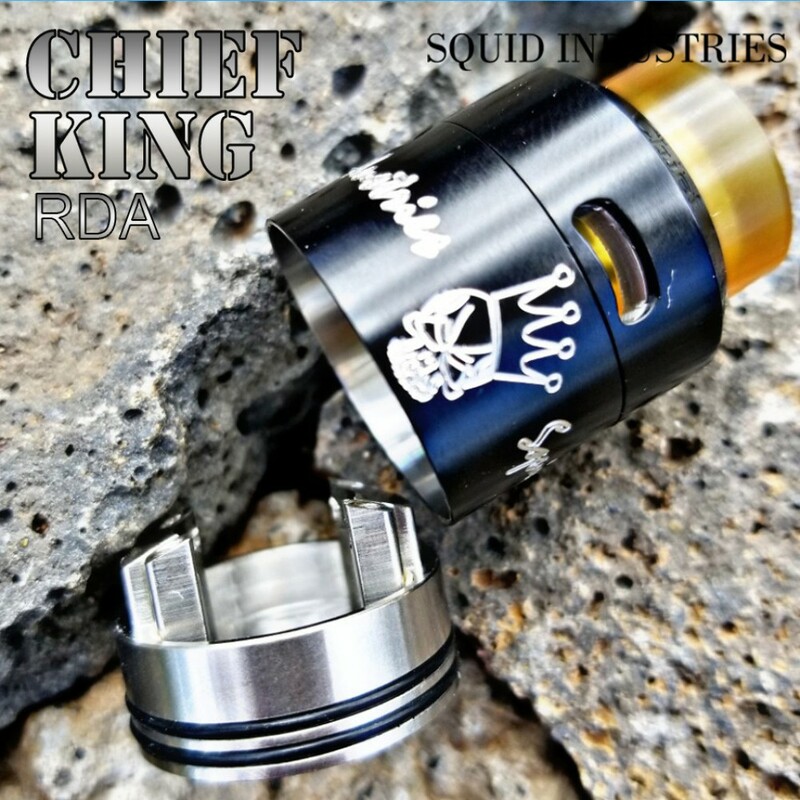 The Chief King offers a uniquely deep juice well allowing the user to enjoy thick, dense clouds without having to drip so often. Utilizing the included Squonk pin (in combination with a Squonk compatible device) the user is provided the option to experience this amazing vape without having to drip at all! 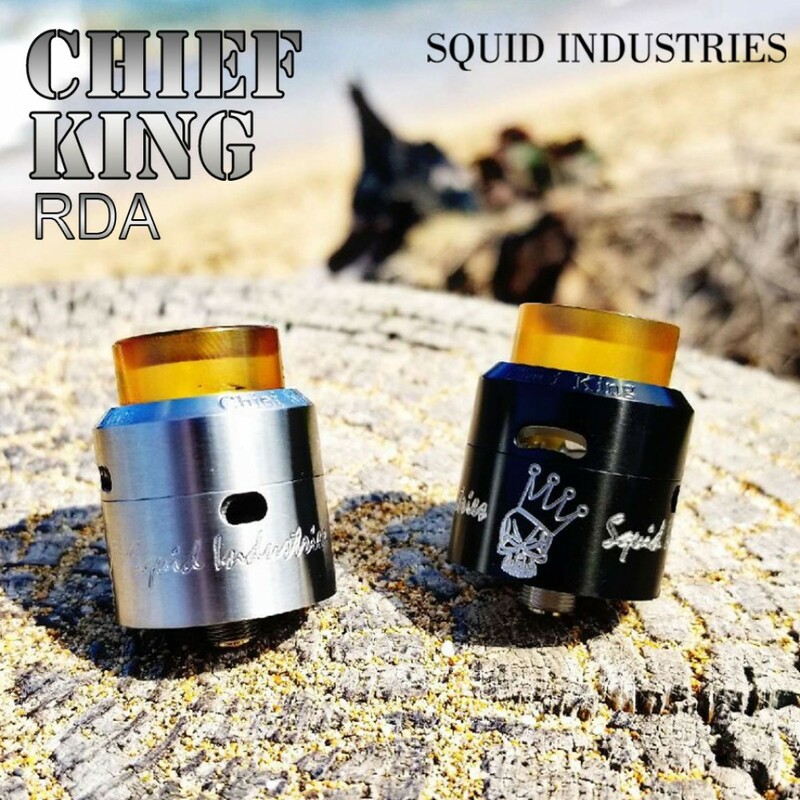 The Chief King's quad airflow system achieves an unprecedented balance of flavor and cloud production, making it the ideal atty for Trickers, Flavor Chasers, and Cloud Chasers alike! It works by diverting the bottom airflow through the double posts directly under the coil, producing an incredibly accurate expression of flavor. The top adjustable airflow points toward the coil at a 45 degree angle, supporting regulation of cloud production and throat hit. In combination, these airflow systems are sure to exceed your expectations regardless of your vaping style! 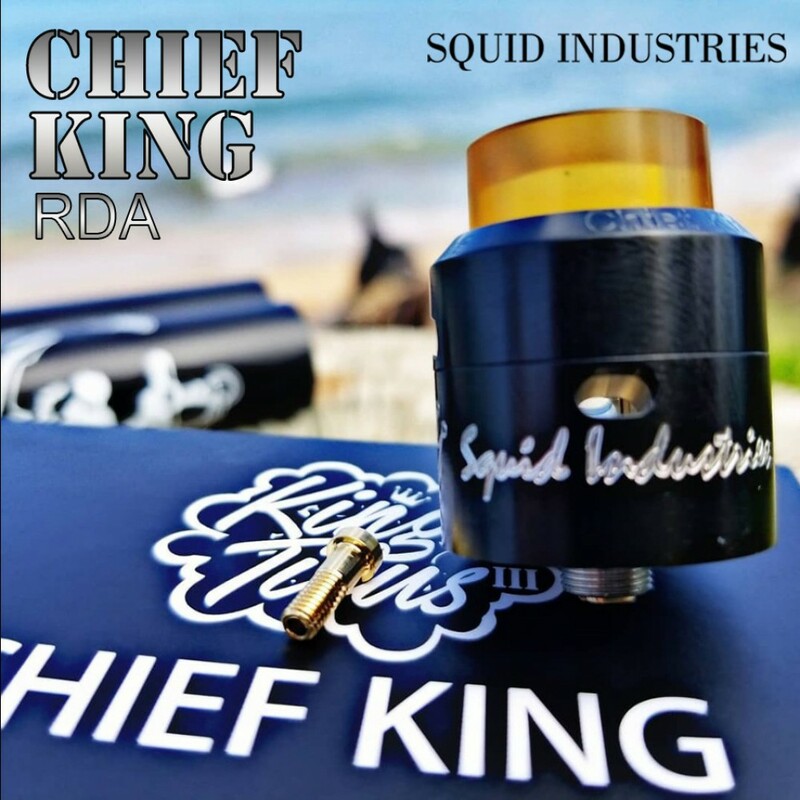 At Squid Industries our goal is provide only the best and most reliable products to our customers. As a result of that effort, our vape family has rapidly grown worldwide! The Chief King is no exception to that effort!